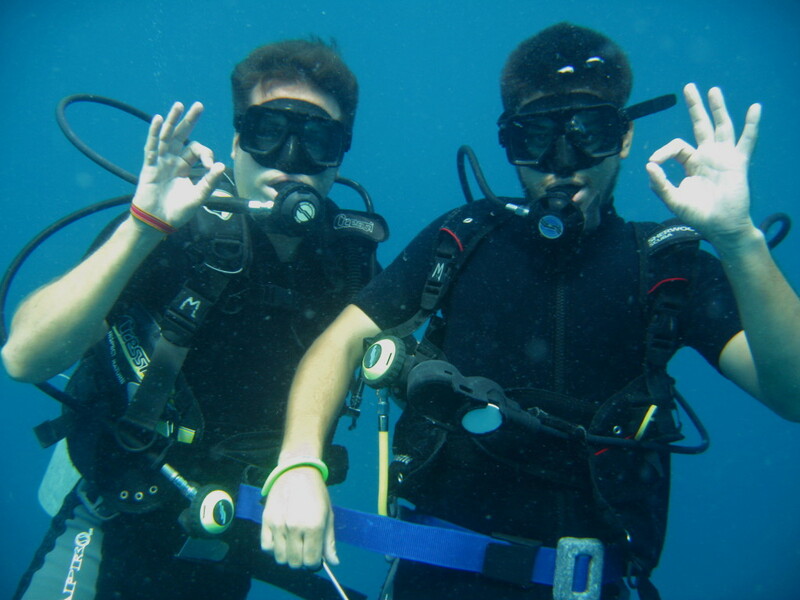 Federico and I decided to take our Advanced Open Water course while staying on Perhentian Kecil- a small island off the east coast of Malaysia. 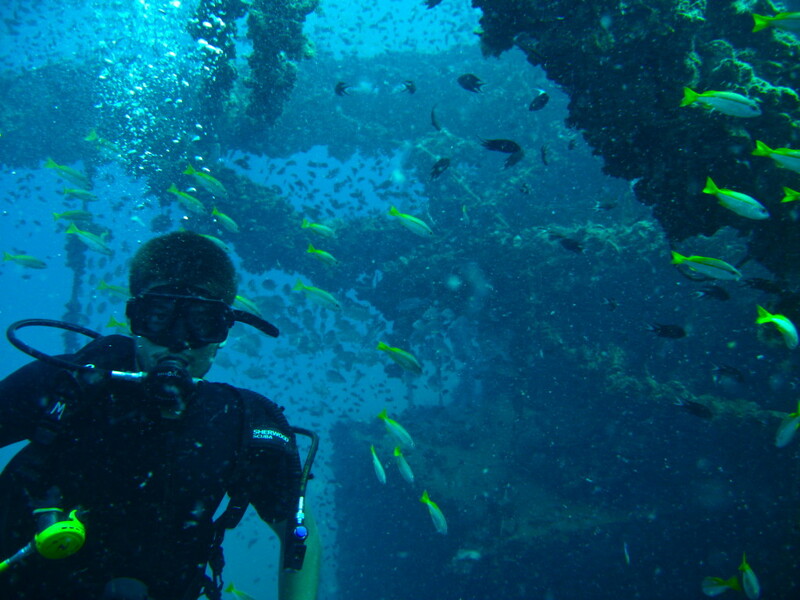 For you non-divers out there, the advantage to having your Advanced Open Water certification is that you can go a bit deeper on your dives (30 meters as opposed to 18), you can enter shipwrecks, you can do night dives, and besides, the dives required to complete the course make you a more experienced diver in general. 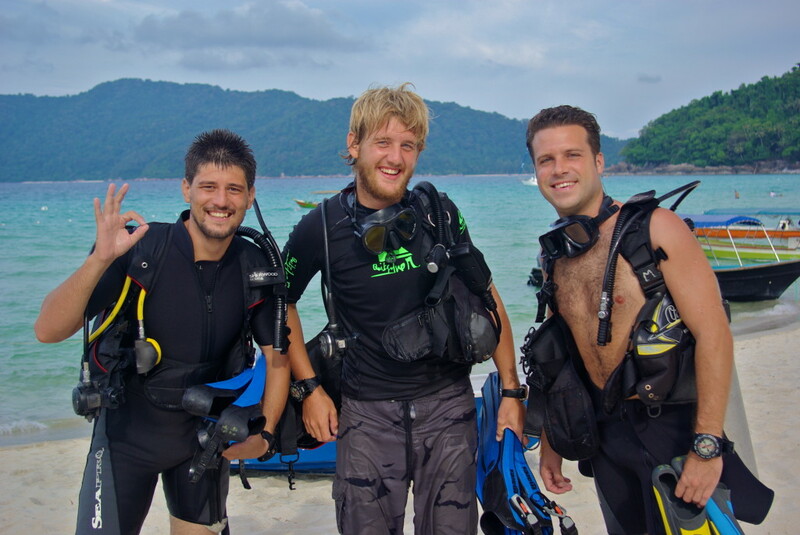 Fede had completed his basic Open Water course in Koh Tao, Thailand, just prior to arriving in Malaysia, and we were both excited to take it to the next level. Upon our arrival on the island, we walked down the beach, stopping in various dive shops along the way, and ended up in at a place called Turtle Bay Divers. It was full of laid-back dive instructors, all happy to chat with us about anything and everything. We hit it off with this English guy named Will right away, learning that he was living the hard life- instructing dive courses in Malaysia during the peak tourist season, and mixing some diving of his own with a little bit of surfing in Indonesia during the low season. Tough life, right? 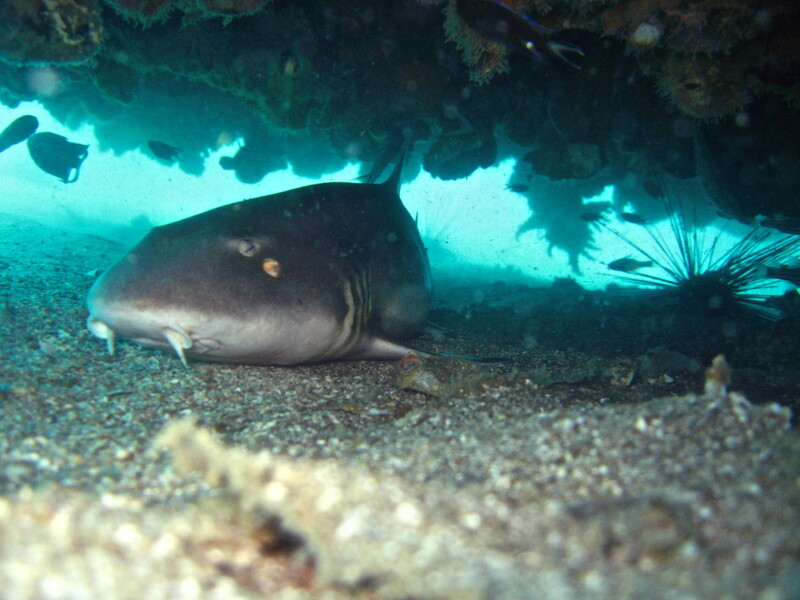 He was a funny guy, and went on about how great the diving around the Perhentians was. We registered for the 5-dive course, and promised to show up on time and in diving condition (Read: not hung-over) the next morning. To complete the Advanced Open Water course, one has to pass on 5 different types of challenging dives. 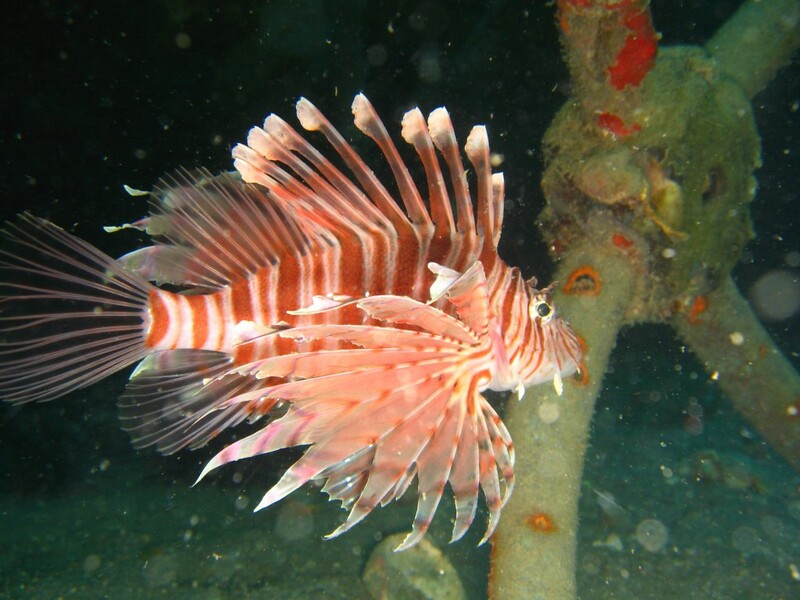 Theres something like 8 or 9 dives to choose from, depending on what your interests are, but of those, 2 are required- the Deep Dive (Up to 30 meters), and the Navigational Dive (So that you can get back to the boat should you decide to dive on your own. A good skill to have, for sure...). The other dives we selected were the Peak Performance Buoyancy dive (Perfect your neutral buoyancy, a key to scuba diving), the Drift Dive (Scuba diving in an area with a strong current), and the Wreck Dive (Safely and responsibly penetrating shipwrecks). The plan was to complete these 5 dives over the next three days, allowing us to complete the course before we left the island. And that was that- we were ADVANCED Open Water Divers! 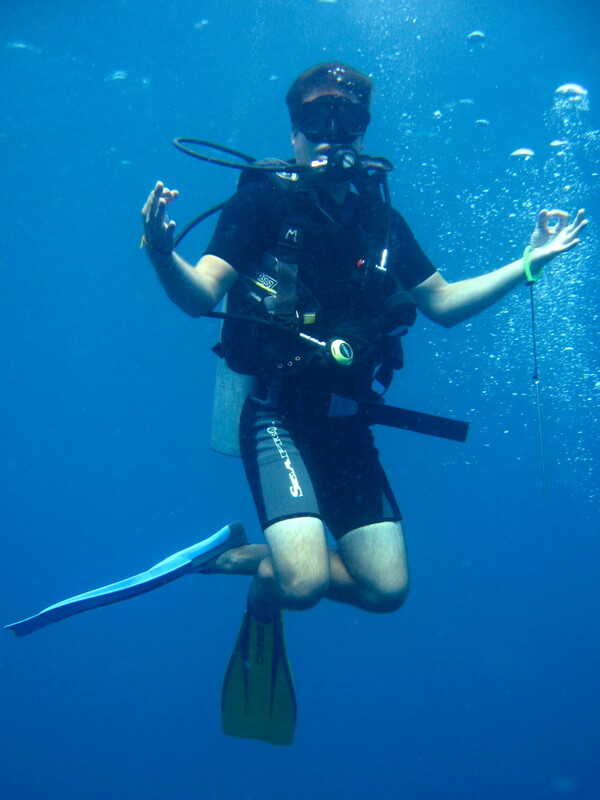 Advanced Open Water certified? CHECK! If you'd like to learn more about how to travel through Malaysia, click here. 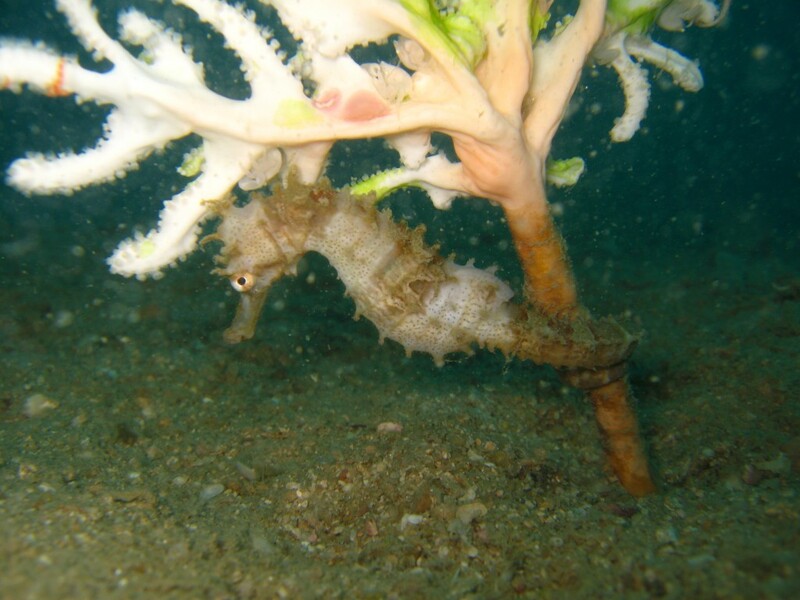 For more on the Backpack Professor's adventures in Malaysia, click here.